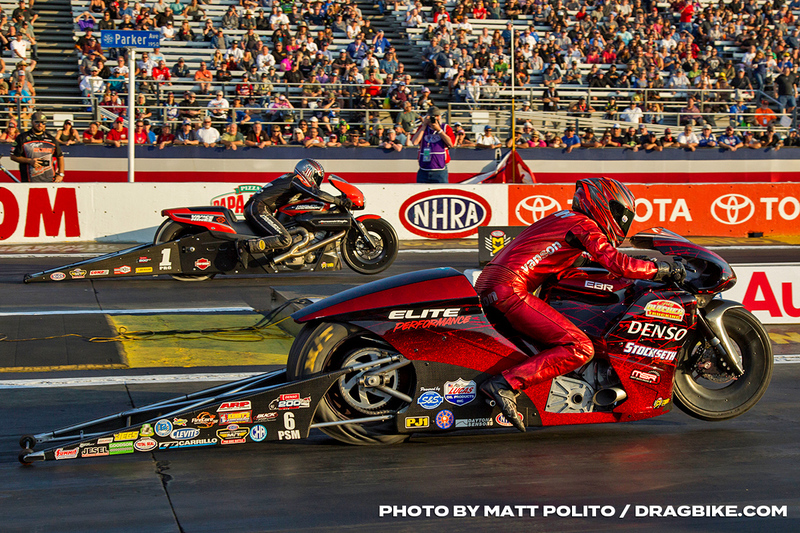 Matt Smith would put in a dominating performance at the Auto Club NHRA Finals at Auto Club Raceway at Pomona to earn his third NHRA Mello Yello Drag Racing Series Pro Stock Motorcycle world championship and set a new national record in one of the most thrilling finishes in NHRA history. 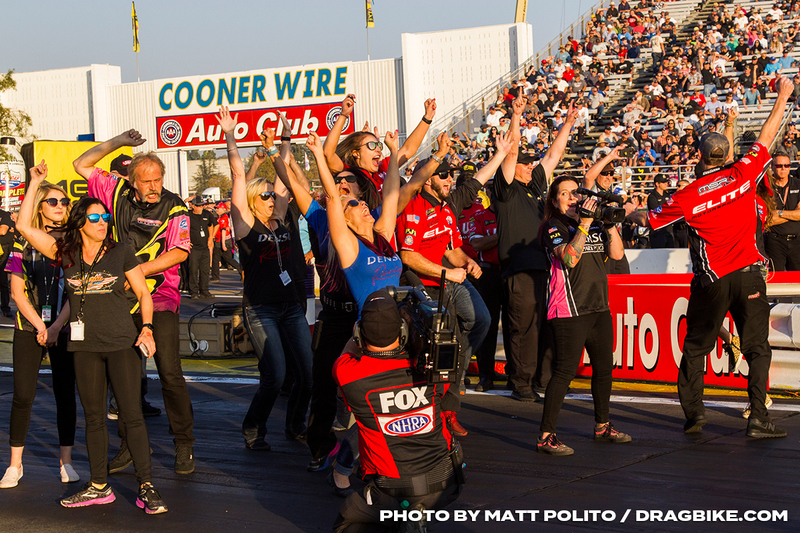 Smith came into Auto Club Dragway in Pomona as the points leader but with six riders still mathematically eligible for the crown, there was no margin for error. However, Smith would kick the weekend off by immediately claiming the top spot in his first qualifying run and would never relinquish it, securing the number one qualifying position and setting the stage for his historic performance on race day. 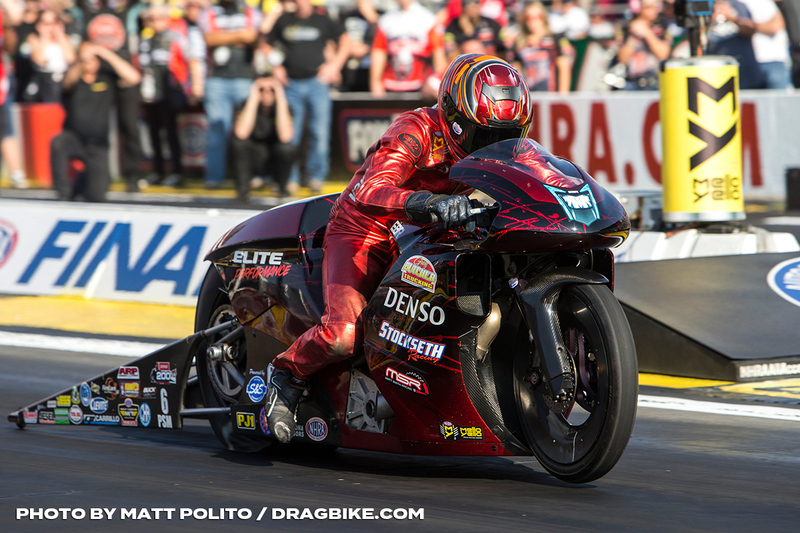 After defeating Angie Smith, Hector Arana and LE Tonglet, Smith would get to the final round where he would save his best for last. 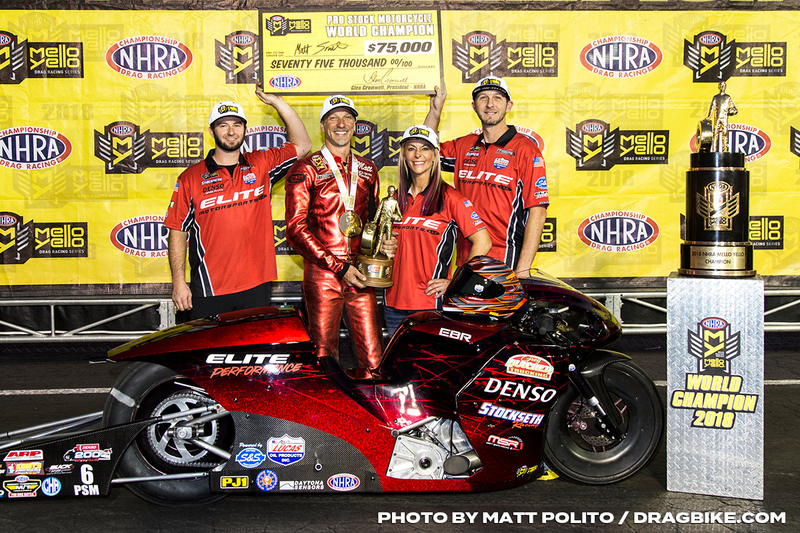 In his title-clinching run, Smith would also reset the national speed record in the process, piloting his Elite Motorsports DENSO Auto Parts EBR to a time of 6.765 seconds at a record 201.22 mph to put an exclamation point on his unbelievable 2018 season.